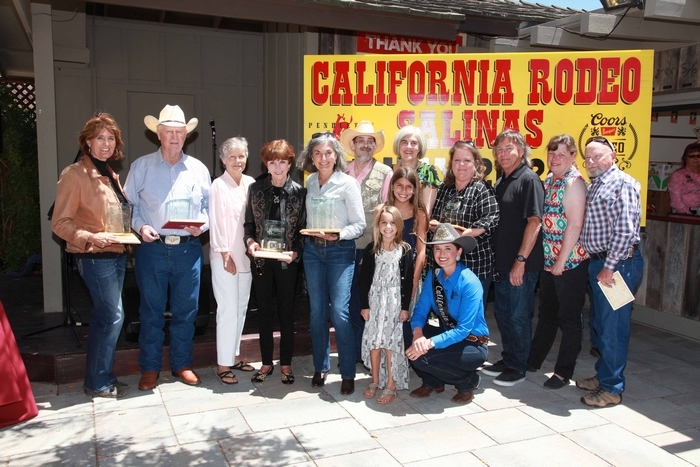 SALINAS, CA, January 12, 2018 – Established in 2010 during the centennial anniversary of the California Rodeo Salinas, the Hall of Fame roster is full of rodeo legends including Ty Murray, Wilbur Plaugher, Jack Roddy and over forty other icons who have contributed to the legacy of the California Rodeo Salinas. 2018 inductees will be recognized at the Hall of Fame Induction on Thursday, July 19th at 11:30am on the Mike Storm Director’s Patio at the Salinas Sports Complex at 1034 N. Main Street in Salinas. The event will consist of lunch and the presentation of awards to inductees or their representatives. The 2018 luncheon is sponsored by The Jim & Sally Martins Family. Tickets will be $30 and will be available for purchase at a later date. For more information, including biographies of Hall of Fame members and more, please visit www.carodeo.com.